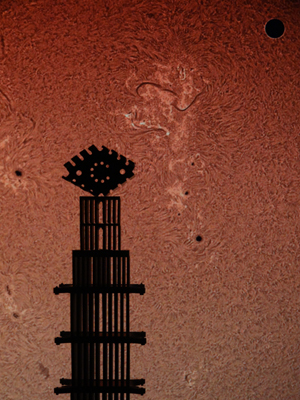 Alien tower and Sol-Venus-transit backdrop. Venus Transit image credit: Chris Hetlage. Image used with permission.